Golf in the Berkshires this spring. We certainly have had spring weather here at our Berkshires Bed and Breakfast. It was in the 80s not long ago, then we had a freeze. If you are planning to spend a few days with us in the near future, be sure to pack both sweaters and shorts! Crazy weather aside, spring is here. We know, because Greenock Golf Course, which is across the street from our Bed and Breakfast in the Berkshires, is now open. They’re running their spring rates, which are quite reasonable. 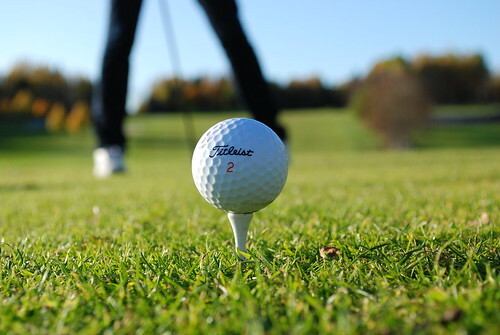 Spring is a great time to leave the city and spend a few days golfing in the country of Western Massachusetts. The greens aren’t crowded, and it is rarely uncomfortably hot or cold. Come with your spouse or come with your golfing buddies. Spend your days trying to get the little ball in the tiny holes, and spend your evenings sipping wine and nibbling cheese at the Applegate Inn. Relax in our parlor or lounge on our screened porch or by the pool. You may want to spend an afternoon in a local museum. It’s always fun to revisit the past with a trip to the Norman Rockwell Museum in nearby Stockbridge, where there is currently a great exhibit on the portraits of Everett Raymond Kinstler.The Berkshire Museum in Pittsfield is also a fun place to visit, with it’s varied exhibits on ancient history, art, and natural history. Spring is a lovely time in the Berkshires, whether you spend your time golfing, visiting museums, hiking, or simply relaxing. Come see for yourself.